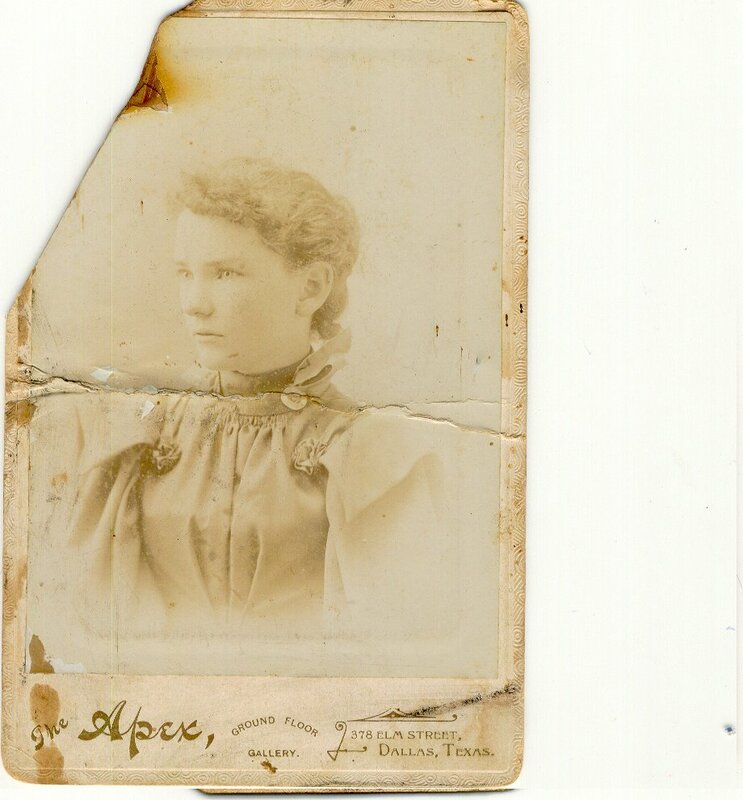 Comments: Myrtie Ellen Rust (Nee: Rust) | Dallas Tx USA | 1851-1900 | Comments: This is a photo of Myrtie Ellen Rust, the daughter of Emory Gordon & Lucy Pratt Rust. It was taken in Dallas, Tx. at the Apex Gallery.